Here is a video tutorial I made recording the process of coloring of one of the characters of the Kock Fighter Club. I added subtitles indicating what is going on in the painting. Hope you like it. 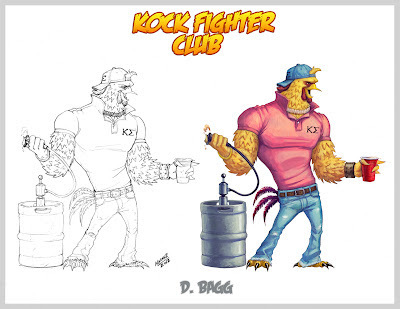 How to color a Kock Fighter Club character from Arturo Aguirre on Vimeo.